Alive Inside is a touching documentary that may have entered your life without you even knowing. 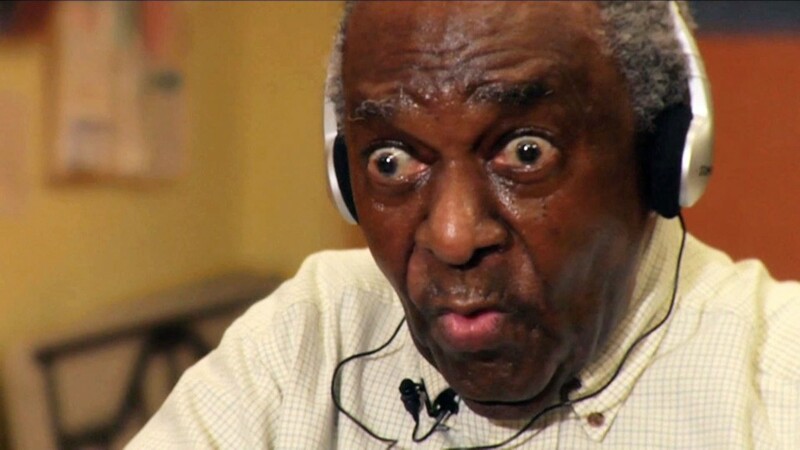 A video circulated around the Internet featuring Henry, a mumbling man living with dementia who’s mind is expanded when he listens to music. His eyes bulge, he starts to move in his seat, and he can inspiredly recollect memories. This segment emotionally affected people across the globe, and it’s just one of the many moving moments in Alive Inside. Filmmaker Michael Rossato-Bennett followed social worker Dan Cohen for three years and documented the results that occur when elderly folks suffering from memory loss and physically demanding fatigue are stimulated by music via an iPod. Alive Inside shows that the power of music can send a kickstarting shockwave through the human body. It has a quicker initial response than most medicine and it brightens the souls of those who have diminishing hope. The persuasive scenes featuring Cohen interacting with the seniors will induce giant smiles, but this joyfulness doesn’t take away from the bitter reality from inside the nursing home. Rossato-Bennett occasionally moves away from the doc’s musical theme and sheds more light onto the state of the aging human mind, how hospital environments influenced nursing homes, and how health care officials have a hard time taking a chance on unorthodox musical treatment. All the points Rossato-Bennett bring up are important albeit the transitioning is erratic. It is, however, impressive to see how many thought-provoking bits the documentarian provides. Alive Inside is an amazing documentary that’ll make a difference. If Cohen is still gathering funds for Music & Memory, he can expect this doc to open more eyes. Judging by the amount of times the word “iPod” is dropped, you would expect Apple CEO Tim Cook to personally pull up to Cohen’s doorstep driving a dump truck full of devices. ‘Alive Inside’ screens as part of Hot Docs Canadian International Documentary Festival’s Doc Soup series. Catch the film at Toronto’s Bloor Cinema on Wednesday, April 2 at 6:30 pm and 9:15 pm as well as on Thursday, April 3 at 6:45 pm.